Behaviour challenges are a growing epidemic, impacting on the quality of life for individuals, relationships, families, schools, workplaces and all areas of life/society related to and affected by behaviour. So why are behaviour challenges getting worse? What is really going on? Is it possible our current approaches to behaviour change are NOT working? In response to this, Behaviour Specialist Tanya Curtis has put together a series of online webinars available for viewing anytime, anywhere by anyone; they get to the heart of these behaviour challenges and explain in simple terms what we mostly do not yet understand. Although each webinar is associated with a specific topic, each is also jam-packed with so much insight, wisdom and useful tips and understandings that they are not limited on focussing on that one aspect of life. They focus is on all of life, and in this way there is definitely something in every one of them to support us all. These webinars are AUD$66.00 each and available for purchase either as an audio or online recording from our shop. We all use behaviour all day, every day … we are never not using a behaviour. We all have, had or will have behaviours in our repertoire we would prefer not to use. Further to that, most have attempted to change their own or another person’s non-preferred behaviours at some stage … sometimes successfully, and other times not. One reason for failed attempts at behaviour change is that the reason for the behaviour has not been addressed … we have not brought understanding. This webinar will explore in detail the essential behaviour principle that ‘every behaviour is happening for a reason’ … thus for successful behaviour change to occur, we must develop tools to bring understanding to anyone’s unwanted behaviours first. 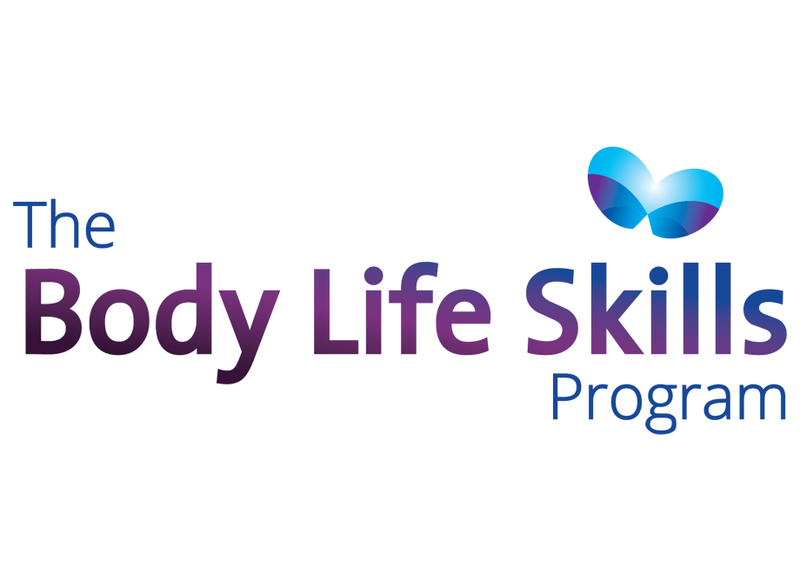 We will introduce the revolutionary Body Life Skills program that, when used effectively, brings understanding to non-preferred behaviours; based on the this understanding lasting behaviour change is then possible. This is a foundational course for all who are serious about behaviour change. This webinar will workshop 16 principles that, when implemented into everyday living, offer simple, practical and very effective means to help with understanding and bringing about lasting behaviour change. These guiding principles have been successfully used at Fabic Behaviour Specialist Clinic since 2006 and can be transferred to homes, schools, workplaces and all organisations related to and affected by behaviour and behaviour change. The anticipation of behaviour change can trigger anyone’s anxiety … with anxiety the potential for lasting behaviour change is impacted. This webinar will offer practical steps to build a solid quality foundation that allows people to feel safe and willingly springboard into the world of behaviour change. Whether you are an individual, parent, teacher, employer or behaviour change facilitator of any kind, this workshop offers the tools to build a solid foundation for anyone embarking on the path of behaviour change. Changing Behaviour … what can I do to make it last? Behaviour challenges appear to be forever increasing in today’s world. We have an array of behaviour management policies, whether that be informally in our homes or formally in schools, businesses and organisations. However, management-style tactics rarely if ever bring about lasting behaviour change. At best we get a short-term reprieve from a current incident while a similar behaviour is likely to be repeated in the near future. This webinar offers practical ways, tips and strategies to bring about lasting behaviour change that have successfully been implemented in Fabic’s clinical work since 2006. If you are looking at introducing lasting behaviour change to your own life and/or supporting others/another with their own lasting behaviour change, this webinar offers the needed support. Perfectionism is described by Tanya Curtis as a hidden epidemic … contributing to people’s anxiety levels worldwide. Have you (or someone you know) ever felt uncomfortable when you receive a correction? Have you avoided doing something in an attempt to dodge a possible critique? And how often do we expect another to do more or be different according to our expectations of them? Perfectionism comes in many different forms and impacts all of us in varying ways. We can impose perfectionism on our self, but also on others. Perfectionism has been observed to increase anxiety levels for the young, the old and everyone in between; perfectionism impacts on people’s experience in schools, workplaces, relationships and society overall. This webinar brings understanding to what perfectionism is and explores ways of changing our experience with perfectionism, resulting in reduced anxiety and thus ways to lasting behaviour change. At our core we are all the same in that innately we want to be with other people and have positive interactions with them. However, life experiences are not always positive and our attempts to socialise, play, connect, communicate and have positive interactions with others are not always successful. In fact, what people hope to receive (i.e. acceptance and inclusion) often results in the exact opposite (i.e. exclusion and rejection). This webinar offers practical skills that can be used when supporting our self and others in interactions with other people. The webinar is suitable for those wanting practical means to increase their own positive interactions as well as those who are likewise supporting their children, students, clients, friends, family and colleagues. Relationships, communication and our behaviour … are they related? We are all in relationships … whether that relationship be with our self, a partner, your children, friends, family, work colleagues or members of the community; the fact remains that we are all in relationships. Some relationships appear successful while in others a deficit is clearly felt. This webinar explores how the quality of communication we offer in our relationships impacts on the quality of our relationships ... we will discuss practical ways of how communication in relationships can impact negatively or positively on our anxiety levels, esteem, well-being and future behaviour choices. Parenting … a role that some biologically play and others by nature of being a carer, friend, colleague, teacher, neighbour, family or community member. In many ways we are all parents as we are all in some way contributing to and influencing children as they grow into teens and become adults. However, parenting, although one of the most important and at times challenging tasks, does not come with a manual. This webinar explores practical tips to support raising children to live and reach their full potential while touching on common challenges parents, care givers and all of us face when addressing behaviour challenges that children can present with. ADHD, Behaviour and Learning – how are they related?